With 20% of law graduates from 2010 currently working in positions that don’t actually require them to have a law license,  job prospects are dire for newly qualified lawyers. Professional health law and policy positions are in particularly high demand, and there’s little wonder with the future of health care in the United States up in the air. Specializing in health law and policy can be an attractive prospect for lawyers in need of an edge in a competitive job market. Health professionals, too, could improve their career prospects with a health law and policy degree, which can equip them with the knowledge needed to win higher-paying management and decision-making positions. Most importantly, though, a health law and policy master’s degree could give individuals the chance to shape the future of American health care and influence positive change. What is a Master of Health Law and Policy degree? A Master of Health Law and Policy examines laws, regulations, and policies that shape the U.S. health care system. Since the introduction of Medicare and Medicaid in 1965, constant reform has been required to ensure the most vulnerable members of our society have access to affordable, high-quality health care. With that reform comes the need for professionals with specialized knowledge of health law and policy, not only to formulate reforms but also to implement them and help hospitals and other care providers to keep up with changing regulation. Health law and policy master’s students can expect to gain detailed knowledge on the way in which in law impacts both patients and health care professionals. They’ll learn about the business aspects of health care and the ways in which law and policy influence business decisions. They can also expect to develop their communication skills when working with lawyers and the government in health care roles. In addition to exploring the intricacies of the health care system, students may have the opportunity to explore the latest issues facing public health today in specialized areas such as pharmaceuticals, biotechnology, and health reform. Who might choose to earn a master's in health law and policy? The average age of employed people who have obtained a relevant health law degree is 42 years old,  which suggests that a Master of Health Law and Policy is appealing to more mature students looking to advance their career or make a career change. Earning a master’s degree in health law and policy can advance a wide range of career paths for individuals already working in relevant industries. Health care professionals such as advanced practice nurses, health care social workers, physicians, and administrators who already work in the health care industry could improve their expertise and career prospects with the health law and policy master’s degree. Graduation from the degree program can give them a practical understanding of how law, policy, and regulations impact health care decisions, patient care, and the industry. 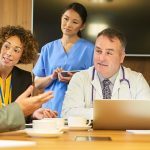 It may also allow professionals to move into more advanced positions in which they can help to make business decisions within a health care environment. Legal professionals such as paralegals, and legal assistants who wish to develop specialized knowledge of health law and policy can expand their knowledge by undertaking a health law and policy master’s degree. Their previous education and experience of law may prove to be of great benefit when undertaking this degree if they hope to distinguish themselves as experts in health law. While a master’s in health law and policy can help expand legal knowledge, it does not help prospective lawyers qualify to sit for the bar exam. To qualify for the bar exam, you must earn your Juris Doctor (JD) or, in some states, a Bachelor of Laws (LLB). Based on a survey of online programs, a master’s in health law and policy can be beneficial to a variety of roles, including insurance professionals, community service managers, lobbyists, health care administrators, health educators, and social workers. Their prior business or care provider experience could provide an excellent background from which to build advanced knowledge of health law and policy. Why earn a master's in health law and policy? The U.S. health care industry is currently worth $1.668 trillion and employs almost 17 million people. The size of the industry demonstrates just how many job opportunities there are, and with health care law and policy constantly evolving, the demand for individuals with an education in law and policy remains stronger than ever. Graduating with a master's in health law and policy gives individuals an opportunity to help shape the future of U.S. health care and remain at the forefront of dramatic reform. The health care industry offers some of the best-paying careers, the most job stability, and the most growth potential. There are 784,626 health care companies currently operating in the U.S., and together they currently employ approximately 16.7 million. Jobs in health care are expected to grow by 19% from 2014 to 2024,  indicative of the myriad job opportunities and the job stability over the coming years. Health care faces a lot of challenges. With new health care systems and advanced technology on the horizon, health care organizations must be prepared for the legal policies that accompany these changes. That means health care professionals with an expansive body of knowledge in health law and policy are in constant demand. With a Master of Health Law and Policy degree, health care and legal professionals can fill that need. A master’s in health law and policy can help you become better equipped for reaching top-level positions that offer higher salaries and more responsibility. Working in the health care industry allows individuals to serve others and can be an incredibly rewarding career. Undertaking a degree in health law and policy can allow health care or legal professionals to become advocates for positive change at any level in the health care system. Based on several online programs, health law and policy degree programs are open to students holding a medical, health care, legal, or related undergraduate degree. They are versatile degrees suitable for people with a wide range of previous education levels and professional experiences. For a health care professional, a master’s in health law and policy can help him or her speak the language of the law in order to utilize medical knowledge and people skills in positions that can influence policy change and reform. Upon graduation, individuals should be well-equipped for dealing with compliance requirements, navigating complex legislation, and using their expertise to drive changes that will improve the health and well-being of the public. The degree program allows legal professionals to develop a deeper understanding of the complex health care industry in order to carve out a specialized career in health law. The legal industry is highly competitive, and by specializing in an area such as health care, legal professionals can set themselves apart and take on highly complex cases and clients. Employment growth and job security are very high for health care industry jobs, with the BLS projecting the health care and social assistance labor force to grow by more than 19% from 2014 to 2024. This is significantly faster than the average 6.5% employment growth rate for all sectors. 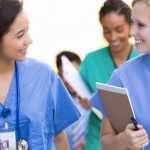 With health care professionals in high demand, it can certainly pay to invest in a health law and policy master’s degree now in order to access the highest paying positions within the industry. For many legal professionals, a master’s in health law and policy can give them an edge in a stagnant job market. Legal occupations as a whole are expected to grow by just 5% from 2014 to 2024, which is slower than the national average. Health law roles, on the other hand, are growing much faster. With health care occupations projected to grow 19% from 2014 to 2024, it is expected that the industry will create around 2.3 million new jobs, accounting for a quarter of all new jobs created by 2024 . Compared to other industries, health care is thriving. By undertaking a health law and policy master’s program, graduates can expect to access the higher-paying positions within the field, which also offer greater levels of responsibility than entry-level legal positions and the opportunity to influence positive change for public health. Support lawyers within law firms, health service legal departments, and government agencies. Common tasks include drafting legal documents, conducting research, and performing administrative duties. Facilitate negotiations between disputing parties in order to resolve conflict outside of court. Plan, direct, and manage medical and health services in line with health care law, regulations, and technology. They usually work for hospital facilities or medical practices, or manage specific departments or geographical areas. Improve the health of individuals and communities by creating and implementing strategies based on data collection. Typically, they will work in hospitals, doctors’ offices, colleges, nonprofit organizations, government, or private businesses. Coordinate and oversee social service programs and help manage staff who provide public social services. Many positions are within nonprofit organizations, private social service companies, and government agencies. There is great scope for health law and policy professionals to work in both private and public organizations. 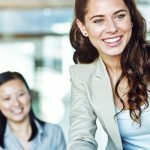 Paralegals, legal assistants, arbitrators, mediators, and conciliators may be able to find positions within established law firms. These firms may specialize in health law, or they may be in need of professionals with health law experience in order offer more specialist expertise to their clients. State-run, nonprofit, and private for-profit health care organizations, including hospitals, doctors’ offices, and social care providers, are some of the most common places for health law professionals to work. Health educators and social and community service managers are often hired by local government in order to work with local communities to share health knowledge and roll out services to improve the health and well-being of the population. Health law professionals may be needed to help influence and create state-level law and policy, or to oversee state-level health education and community programs. At the federal level, health legal professionals are needed to manage legal disputes, while other health law and policy professionals may influence and advise on health law and policy on a national level. Organizations that provide nonprofit health care services to the public may require legal professionals to manage disputes and educators and social and community service managers to help carry out services to the public. Medical and health services managers are also needed to manage the business and policy aspects of the organization. Students earning a Master of Health Law and Policy can expect to develop a well-rounded understanding of the American legal system and the way it interacts with health law and policy. Curricula are designed to help students develop their knowledge of existing laws, policies, regulations, and compliance; learn about the U.S. health care system; and gain knowledge of health care administration and business principles in a health care setting. The majority of master’s in health law and policy programs don’t offer concentrations but instead allow students to select a series of electives in order to tailor their education to their interests. Since health law and policy careers are so varied, students are advised to go into the program with a good understanding of what type of career they would like to pursue in order to choose electives that will give them the knowledge they need to fulfill these aspirations. Some universities offer health law and policy as a concentration within a different type of degree such as a health sciences degree or a law degree. Master of Health Law and Policy programs will typically require between eight and 12 courses, comprising about 24-32 semester credit hours. Your program’s composition will vary, but likely components of the curriculum include required or core courses, elective courses, and a capstone or experiential learning option. There are many master’s degrees that are closely related to the Master of Health Law and Policy degree, and potential applicants are encouraged to explore their options and choose the program that best suits their career goals. This internationally recognized degree may be a good choice for those with an undergraduate degree who want to specialize in health law. Compared to the Master of Health Law and Policy degree, it focuses more on the legality of health care rather than policy, health care administration, and business. Much like the LLM in Health Law, this degree program offers highly specialized legal education, but in this case, the focus is on the wider arena of health law and policy. This degree is suitable for individuals who wish to study general law issues and do not wish to become an attorney. Health law is usually covered within these programs, but it is not the primary focus of the degree. Designed to enhance knowledge of highly specialized health law, this degree may be suitable for business professionals who would like to gain a better understanding of health law in order to reach higher-level executive positions. MA degrees tend to be heavily research- and discussion-based, and often they do not require a thesis like MS degrees might. The core courses and electives of the MA in Health Law and Policy may not be dramatically different than what you might find in an MS in Health Law and Policy degree, but the delivery of education and the type of assignments may differ. This degree focuses on the administrative aspects of health care and is best suited to individuals who want to achieve managerial or consultant positions in hospitals and health service organizations. Health policy is covered in these programs to an extent, but not in as much detail as in the master’s in health law and policy. Designed to give a more hands-on learning experience, the Master of Science in Health Policy degree can help students develop analytical and quantitative skills within the health policy sector. It takes a more critical, research-based approach to health policy than the Master of Health and Law Policy degree does. The MS in Health Policy may suit individuals who aspire to work in research-based positions upon graduation. Students may want to consider ABA accreditation when choosing a master’s in health law and policy, particularly if they plan on furthering their education to become a qualified lawyer. Although a health law and policy master’s degree can provide a solid education on the legal aspects of health care, it does not qualify graduates as lawyers. Individuals who would like to become lawyers will have to earn a JD or LLB degree in order to qualify for the bar exam. The health law and policy master’s doesn’t typically require residencies or provide hands-on health care training of any kind. The program can help supplement your knowledge of and experience in a field like social work or senior nursing, but it won’t prepare you for the relevant licensure. You’ll need to get licensed through other means. DeVille KA. Medical Malpractice in Nineteenth-Century America: Origins and Legacy. New York, NY: NYU Press; 1990.